VSS Unity, the latest spacecraft from Virgin Galactic, made its first powered flight test yesterday. Video below. The Smithsonian National Air and Space Museum has a new executive director: Ellen Stofan, former NASA chief scientist. Ars Technica interviewed Peggy Whitson. Check out the video below. April 2 – SpaceX launched a Falcon 9 rocket carrying a Dragon resupply capsule to the ISS. April 6 – ESA launched an Ariane 5 rocket carrying a pair of communications satellites. 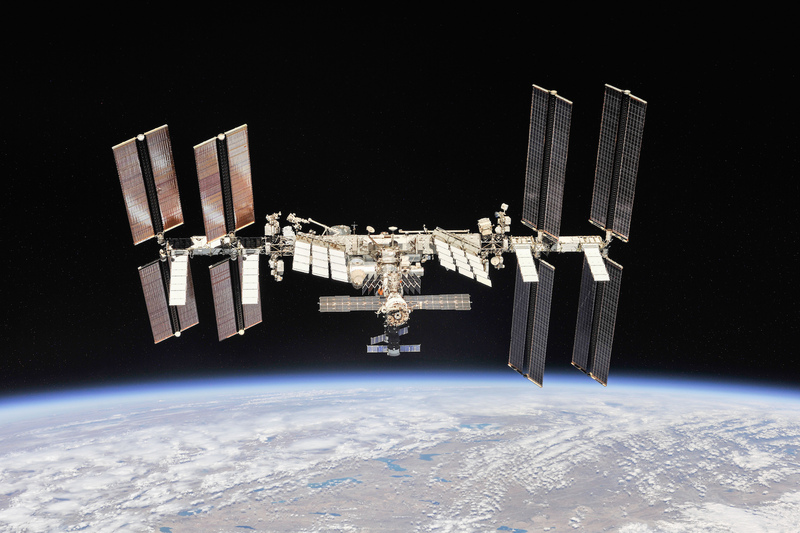 The Dragon spacecraft arrived at the ISS two days later where the station astronauts grappled it with the robotic arm. A busy month of operations now begins as the astronauts unpack the Dragon and begin new science experiments. The Indian space agency (ISRO) lost contact with a communications satellite they launched last week. 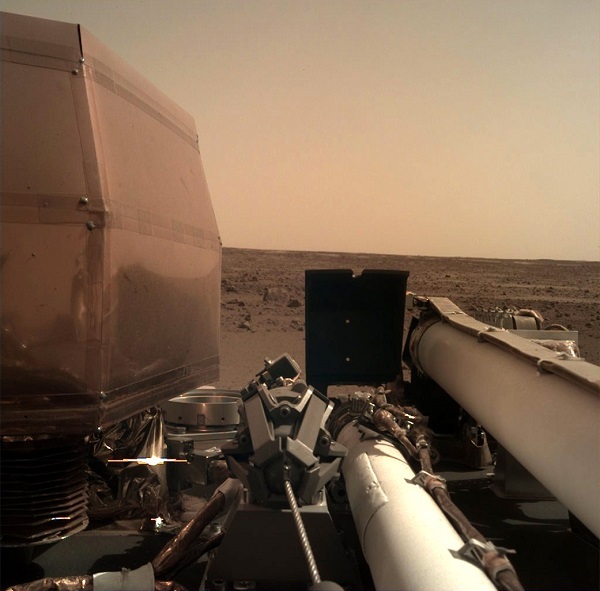 In case you forgot we have robotic rovers exploring other planets, here are some fresh photos from the surface of Mars. Hubble has taken an image of the most distant star ever discovered. The star, which is billions of light years away, was found through gravitational lensing. Mattell launched a new line of “Inspiring Women” Barbie dolls. The release includes a doll of NASA’s Katherine Johnson, made famous by the movie Hidden Figures. JPL posted a 360-video from inside the InSight lander test lab (this is the next mission to Mars launching in May). Westworld director Jonah Nola showed the below video during a SXSW panel this weekend. 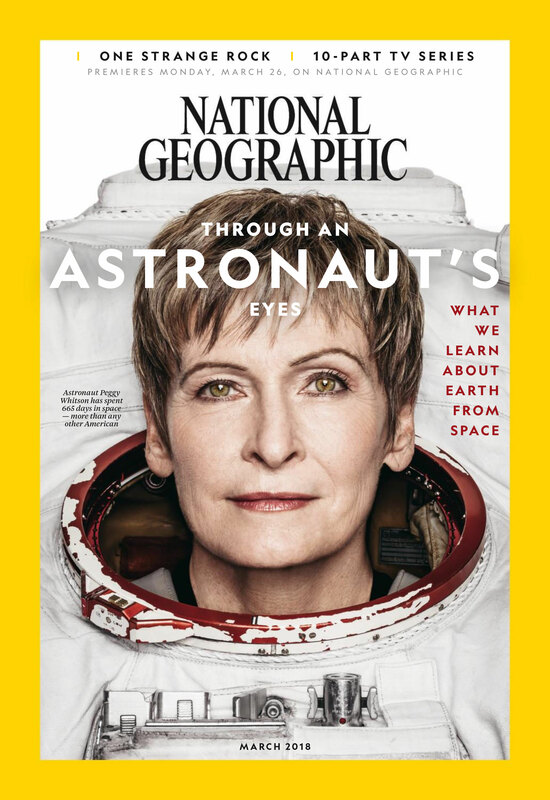 National Geographic’s March issue features NASA astronaut Peggy Whitson on the cover and an article by Nadia Drake which profiles a handful of other astronauts. March 6 – SpaceX launched a Falcon 9 rocket carrying two satellites for commercial companies. March 9 – Arianespace launched a Soyuz rocket from Kourou carrying three communications satellites for O3b. There has been a lot of talk lately of China’s defunct Tiangong-1 space station, and it’s imminent uncontrolled plunge back to Earth. Predictions are for early April. NASA released some new imagery data and science results from the Juno probe in orbit of Jupiter. Some of the intriguing mysteries uncovered include the strange polar cyclones and the 3,000 kilometer deep wind patters. Phil Plait has an excellent summary at his blog. Another asteroid on an interstellar hyperbolic orbit has been discovered. This object is likely from the Oort cloud, which makes it different than ‘Omuamua, which is believed to have originated in interstellar space.